Dena Bank Recruitment 2017 – 300 Probationary Officer Posts:- Dena Bank has published latest notification for filling up 300 posts of Probationary Officer through 12 months Post Graduate Certificate in Banking and Finance course in Amity University. Desirous & eligible candidates can apply online from 18/04/2017 to 09/05/2017. Starting Date of Online Application : 18/04/2017 . Last Date of Online Application : 09/05/2017. Online Payment of Application Fees : 18/04/2017 to 09/05/2017. Download of Call letter for Examination : After 30/05/2017. 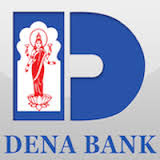 Dena Bank has published latest notification for filling up 16 posts of Manager (Security). Desirous & eligible candidates can apply in prescribed application format on or before 29/04/2017. Age Limit : 35 years as on 01/04/2017. Educational Qualification: Graduate in any discipline from a recognised university. An officer with minimum 5 years commissioned service in Army/Navy/Air force. Or A Police Officer not below the rank of Asstt. S.P./ Dy.S.P. with 5 years of service in that rank Or An Officer of identical rank in Para Military forces with minimum 5 years of service in that rank. Last Date of Receipt of Application from Far-flung Areas : 06/05/2017. Application Procedure : Eligible candidates can apply in prescribed application format along with all essential documents to the General Manager (HRM), Dena Corporate Centre, 3rd floor, Plot-no C-10, “G” Block, Bandra Kurla Complex, Bandra (East), Mumbai-400051 on or before 29/04/2017. Subscribe our free job alert mail for Dena Bank Recruitment 2017.